NEW YORK, Oct 19, 2012/ — Isaac Mizrahi’s impressive résumé is already a mile long and yesterday, he just added another line with the launch of his first fragrance for women – FABULOUS. Making a personal appearance at Bloomingdale’s 59th Street in New York City, the famed designer met with fans and signed autographs after discussing the inspiration and influences behind his new scent to the press and to fans. With the purchase of any size FABULOUS Eau de Parfum, customers were able to do a meet and greet and have their photo taken with Isaac Mizrahi. The photo was printed on site and shared via social media. The FABULOUS scent encapsulates Isaac’s desire to make a woman feel like she does when she puts on an evening gown, like she’s stepped into a fantasy. The fragrance, which includes notes such as mandarin, nectarine, jasmine, vanilla and cedar blend together to create Isaac’s vision of feeling and smelling fabulous all the time. The bottle also features a uniquely advanced twist lock beneath the atomizer, which prevents spillage, and is ideal for travel. 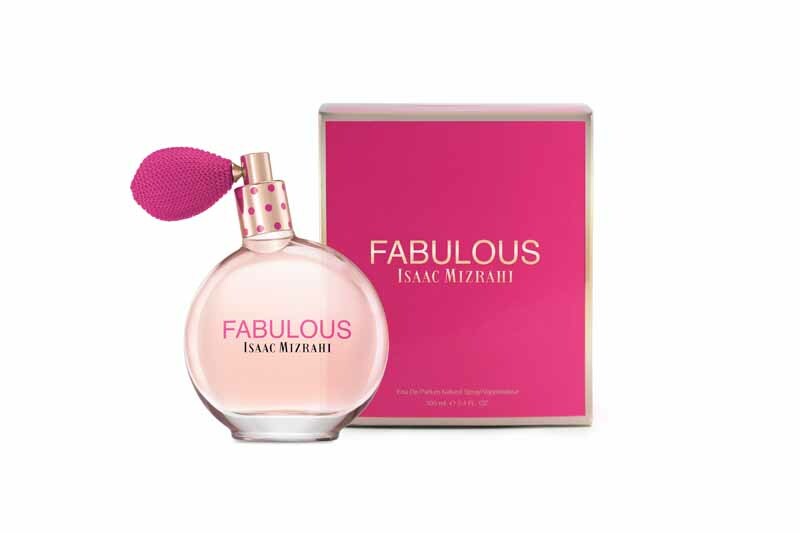 FABULOUS Isaac Mizrahi is now available for purchase at Bloomingdale’s stores nationwide, as well as on bloomingdales.com. FABULOUS Eau de Parfum retails at $78 (3.4 oz), $65 (1.7 oz), and $20 (.33 oz rollerball). The Perfumed Shower Gel retails at $25 (6.7oz), and the Perfumed Body Lotion retails at $30 (6.7 oz). The fragrance is also available in a holiday gift set, retailing at $85, which includes an exclusive Eau De Parfum spray (3.4 oz) bottle signed by Isaac Mizrahi, a rollerball (10 mL), and an exclusive Isaac Mizrahi coin purse.